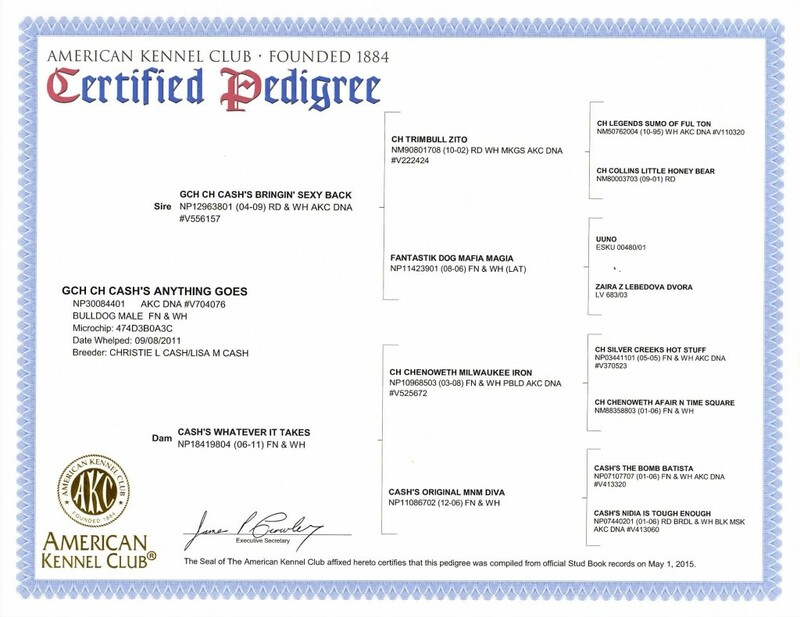 His AKC name is GCH CH Cash’s Anything Goes. We called him Toretto. 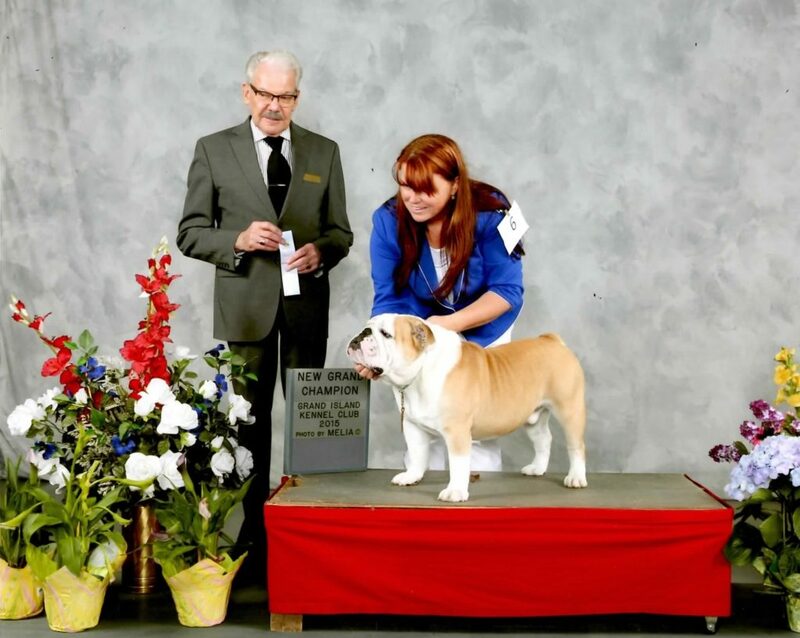 He became a champion in 2013 after showing only about 4 months and he became a grand champion in April 2015. It took Toretto only 6 months to get his grand championship after being out of the ring for almost a year. 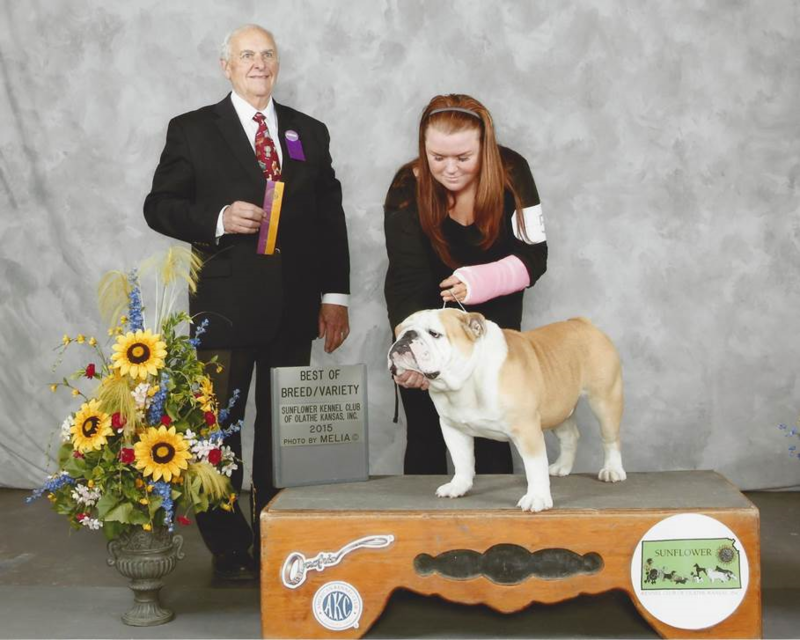 Toretto took Best of Breed in Kansas in 2015. 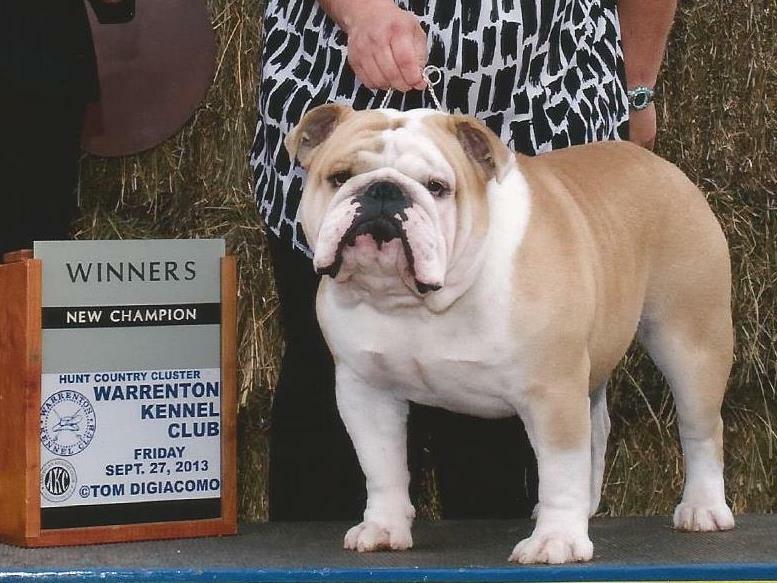 Toretto has twice taken Group 2 in Owner Handler series. He was born in September 2011. 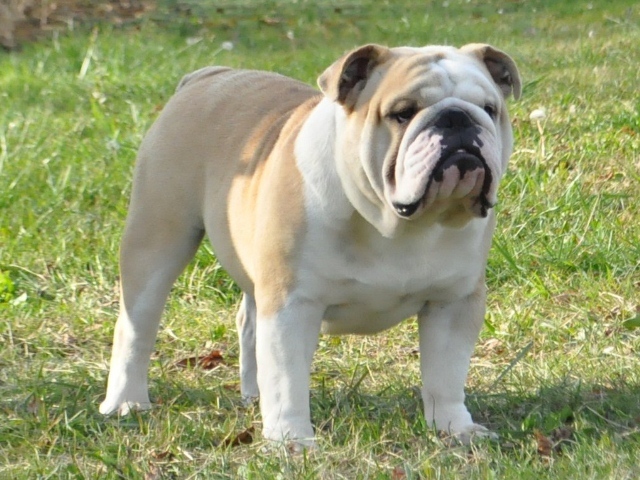 Toretto was from Cash’s Bull Babies in Kentucky. 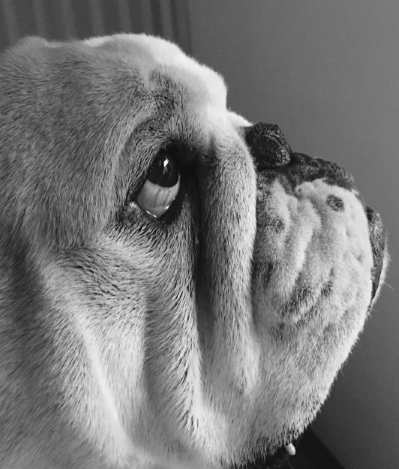 It is with a heavy heart that we report that Toretto left us on March 26, 2018. 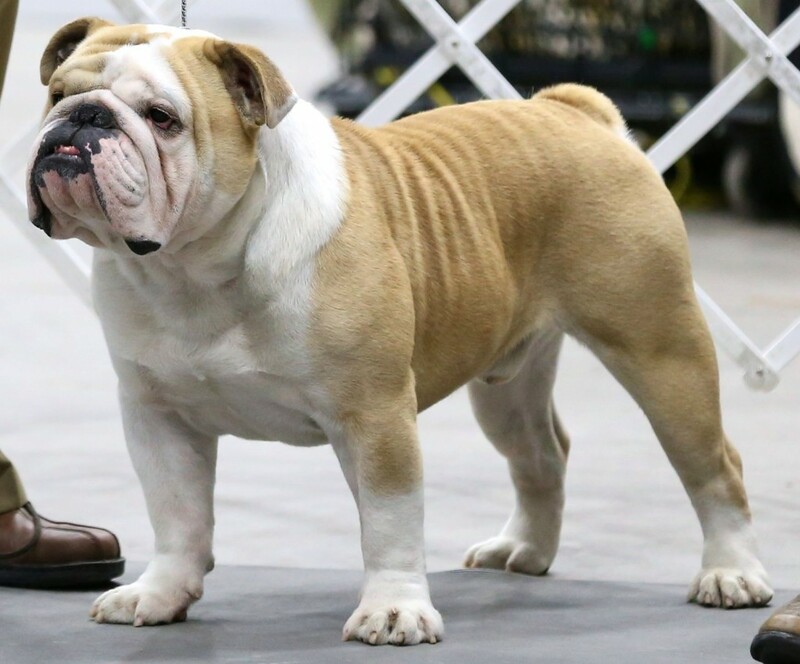 Toretto was one of the top 10 bulldogs in Colorado for 2015 according to the 2015 AKC Grand Champion point rankings. 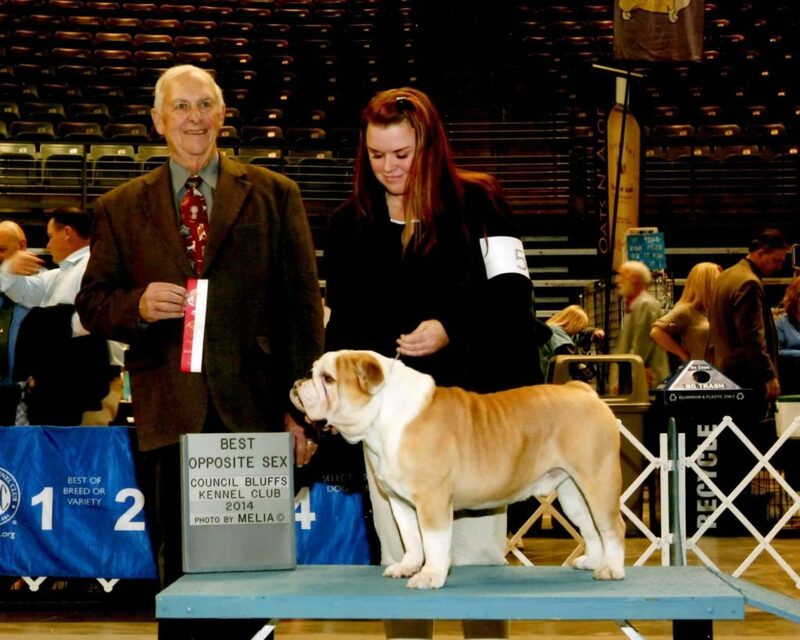 Toretto was a proven grand champion bulldog with a superior pedigree. 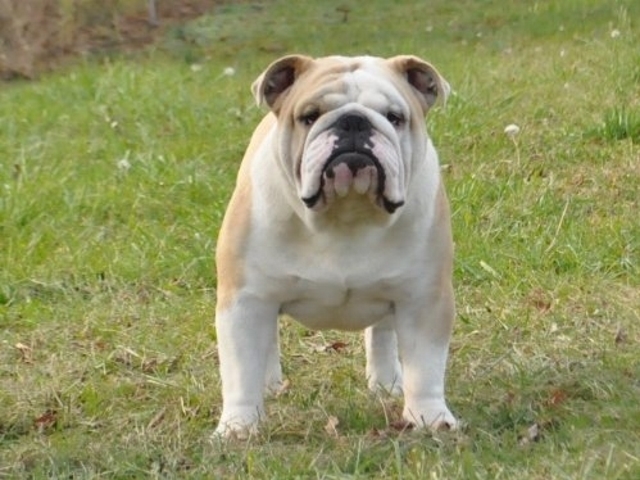 We sometimes called Toretto by the name “Country” because he’s a country dog and liked his Duck Dynasty camouflage bed cover, and also because he reminded us of Enos Slaughter, the scrappy right fielder and hall of famer, who played for the St. Louis Cardinals in the 1950’s. Slaughter’s nickname was Country. Toretto is just as scrappy as Slaughter and consistently wins in the ring. 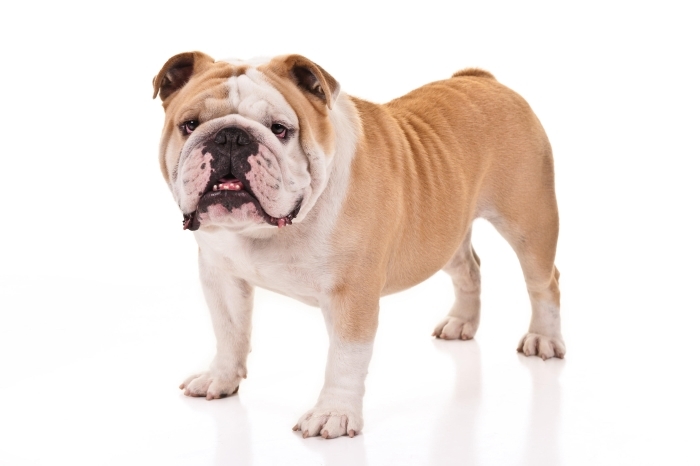 We personally have not found a bulldog that has a better temperament than our Toretto. 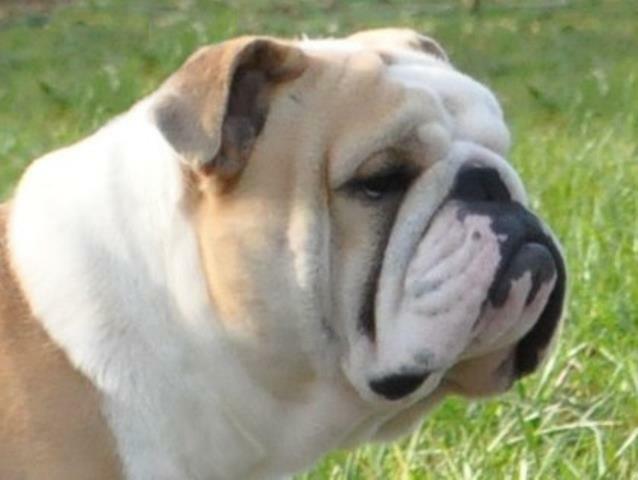 If you want to see perfection in a bulldog, take a look at Toretto’s head and jaw. We were very lucky that Toretto lets us call him our dog for about 4 years. Toretto is no longer available for stud.